This book argues persuasively and passionately that patient care is best when the patient's healing journey is as good as it can possibly be. That means the patient as a Whole Person - the self in all its physiological, emotional, social and even spiritual dimensions - should receive truly comprehensive patient-centered care. In Whole Person Care: Transforming Healthcare, the author, an expert in whole person care theory and practice, outlines the background of whole person care, explains and illustrates the key ideas, puts the growing movement of whole person care in the context of other recent developments in healthcare, and explores the implications of whole person care for individual practitioners, healthcare teams, and the organization of healthcare at the institutional and systems level. In addition, the author provides a compelling, coherent narrative, rich with clinical examples and vignettes, that clarifies for physicians, medical students and healthcare administrators the meaning of whole person care and its implications for the future of medical practice. 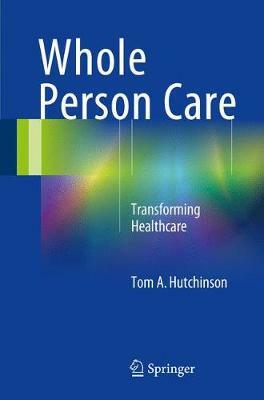 An invaluable resource for all clinicians and personnel concerned with managing patients with acute and chronic illness, Whole Person Care: Transforming Healthcare is a major addition to the literature and a must-read for health practitioners and health administrators at every level.